It is important to us that we communicate effectively with you, the client. 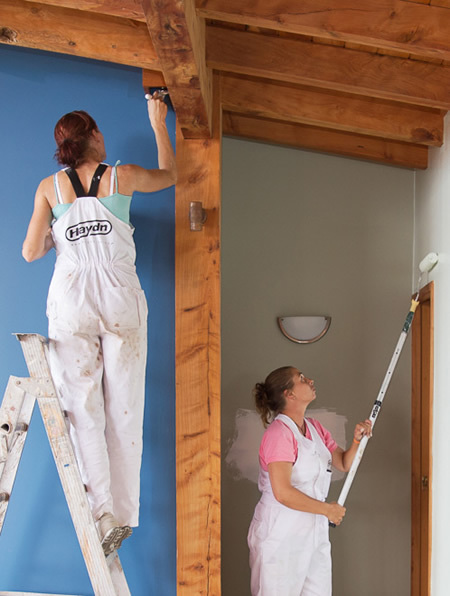 Interior painting jobs can be a disturbance in the household and so need to be well managed. If we paint the whole interior of the house, your furniture will need to be shifted. It is best if we all work on this to make it happen as easily as possible. We always lay plastic sheeting over flooring to protect your home. Paint to suit the area. Bathrooms and kitchens need special attention.